This style has incredible forward movement which means you must communicate with your stylist about creating texture in the hair. Whenever you have a style that has a longer bang, you have to be careful of weight and bulk in the bangs. If the bangs are too heavy, the hair will hang on your forehead, potentially creating a bowl-like style. Have your stylist break up the bulk of a long bang with a straightedge razor or texturizing shears. This will create dimension and movement, allowing the bangs to swing off to the side. If you have stick-straight hair, you can achieve this look but may take the use of a blow dryer to get the bang moving in the direction you’d like. Polish off this look with a light hold matte hair paste. I recommend matte because the focus is on the bang and applying a product with too much shine in it may appear to make your hair look greasy. Adding highlights to your hair automatically creates texture by roughing up the cuticle of the hair shaft. Even if you are a natural blonde, you can add highlights that are just a shade lighter than the rest of your hair color. In fact, just by adding a highlight that is one shade lighter than your natural hair color will give the appearance of dimension and texture. Another technique to achieve the look of dimension in your hair is the application of lowlights. Lowlights are the exact opposite of highlights. Instead of adding lighter pieces to your hair, you would have your stylist add pieces that are darker than your natural hair color. Achieve the total look with by asking for a short shag. There is length in the back instead of being closely clipped and the entire style is heavily textured with thinning shears to create an intentionally choppy style. Finish the look with a sea salt spray that creates that perfect day-at-the-beach look. This is a variation on how to style a cut with long bangs. You still want your stylist to create texture in the hair, otherwise, it will be difficult to gain height from your bangs and crown. You can create a shaggy effect in the back nape and have the temple area cut into a tapered layer. Then, to create height you will need to place a golf ball sized amount of a volumizing foam such as mousse and distribute through damp hair. With the aid of a flat boar-bristle or vented brush, blow dryer the bang and crown upward and back. Do not worry too much about shape just yet. Just focus on achieving the height. Once the hair is full and dry, rub a medium to firm hold pomade or hair wax into your palms and sculpt your hair into shape. Finish off the style with a light spritz of a finishing hairspray that has a light hold. Wavy hair works best to achieve this look. If you have straight hair, you may want to consider asking for a body wave at your salon. A body wave is not meant to curl or perm your hair, but it uses the same process but with wider rolling rods so you end up with volume rather than curl. Sort of a bed head effect, this style is intentionally disheveled but groomed. The crown and bang have a long layer cut instead of texturizing with thinning shears. The temple and back have a long tapered cut, leaving length but gradually hugging the sides and nape. Use a small amount of volumizing mousse and blow dry the hair using your fingertips to shake the hair around as it dries. Remember, this style is meant to have the hair fall naturally and relaxed. Once the hair is dry, dispense a light hold grooming cream into your hands and run your fingers through your hair, completing the disheveled look. Longer lengths are often the best way to control and manage natural curls. If you go too short with your style, you are often battling with growth patterns that fight against the shorter style, unless you go for a complete buzz cut. To make your life easier while achieving a look that will bring you some style, a medium length shag that is layered all over will do those things for you. Keep the nape and temple area tidy with a tapered layer by your stylist. The top is left longer and blended into the back and sides with layering techniques. 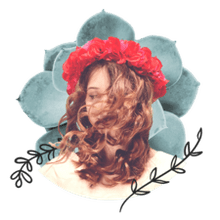 This look can be pretty low maintenance in the styling department, but the key is to control the shape of the curls and its tendency to frizz. Combine in the palms of your hand a light hold grooming cream and a few drops of a liquid shine polish, and then disperse through your locks on damp hair. Let the hair air dry to achieve a natural fall of the curl and the product will prevent the curls from frizzing out. Many men with tightly curled hair will keep their hair super short in an effort to have a low maintenance style. But, if you can grow your hair out with a stylist shaping your hair along the process, you can achieve an immensely cool style with a modern day ‘fro. You can choose to have a traditional ‘fro by simply shaping the combed out curls, or you can have a skilled stylist create small twists into the hair to create a dimensional textured ‘fro. Hydration is key for a stylish ‘fro by using a combination of spray leave-in conditioners and oils. Many oils on the market are meant for shine, with key ingredients such as silicone. With this look, you will want to look for oils that are meant to moisturize the hair, not just add shine. Natural oils are best such a Moroccan Argan oils, jojoba oils, shea oils, or vitamin E oils. All over long layers are used to achieve this look. If you have fine or thinning hair, I would steer you away from a medium length long layered style, as you will just not be able to achieve the fullness needed to pull off this style. Medium to thick heads of hair will be best. Have your stylist create long layers all over, even at the sides and back. On damp hair, dispense a small amount of mousse for control and blow dry the hair at the side part using a boar-bristle or vented brush. Use upward and back movements with the brush. You can choose to do a deep side part as pictured, or part the hair at a more natural part line. Using a medium hold hair wax or pomade, run your hands through the hair and slightly tuck the sides behind your ears. The end result is a sophisticated polished longer style. The crown and front of this style is heavily textured with texturizing shears and then pieced out in the bang area with a straightedge razor. The top is meant to have a chunky look while the front has longer wisps of hair that are easily achieved with the razor. If your hair is super thick, this style will help to eliminate a lot of bulk from your hair, making styling a much easier task for you. There is a lot of volume in this style, so you will want to use a volumizing mousse in damp hair to blow dry. Once the hair is dry, have fun with the varying lengths of layers and pieces with a medium hold wax. Pull pieces of hair wherever you’d like them to fall. Bring layers forward or off to the side, just let your hair-sculpting creativity flow. You can change up the look by changing up the direction of the layers, allowing you to always have a fresh looking style. This is a shag cut with heavy texturizing all over. When you texturize the hair, you are literally cutting chunks of hair out of sections, leaving varying lengths of hair all over. This method helps to achieve volume needed in this style because the shorter lengths push up the longer lengths after texturizing. This style works excellent with thicker heads of hair, as it really needs immense texturizing. Dry the hair using your fingers to pull the crown area up and creating movement in the sides by shaking forward while drying. Use a spray in root boost that you spray directly at the roots to help gain volume if you need it. Once the hair is dry, use a firm hold hair putty or wax to piece out the layers, upwards on top, forward at the sideburns, and down and out at the nape. For a stylish, sophisticated coif, a sleeked back style always looks great. Longer lengths will be your friend in helping to achieve this style so that you don’t look like a greaser from the ‘50s. Have your stylist cut your hair into a medium length shag with long layers instead of a heavy texturizing method. The longer layers will allow you the shape the sides and top back into a sleek style that much easier without fighting hairs that want to stick up or out. Blow dry the hair with a volumizing mousse and a vented brush, moving all the hair upward and back. Use a medium hold pomade with a light shine to style the hair back. You want a sleek look without looking wet or greasy. This will keep you looking polished and perfectly styled. 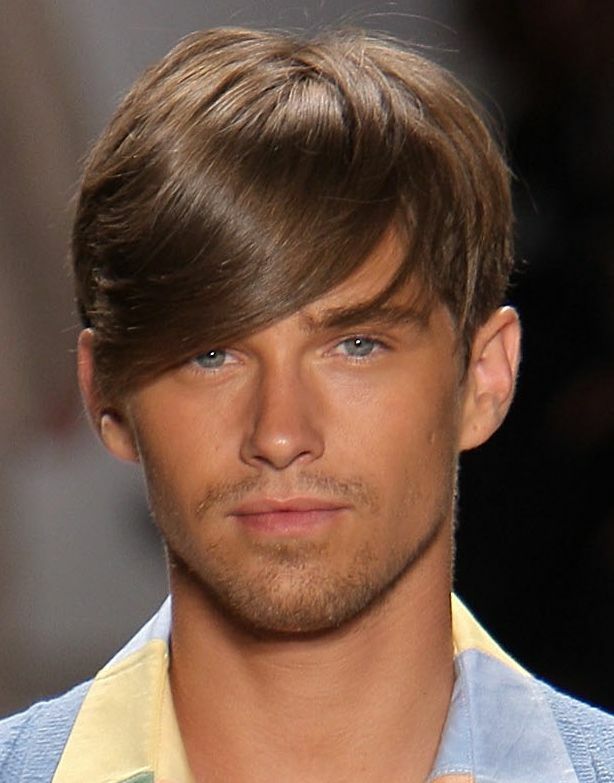 This look has plenty of movement and texture with the combination of a razor cut and highlights. Highlighting the hair essentially damages the cuticle as you are removing pigment from the hair. But that damage has a positive side in that it helps create great texture in your hair. Don’t be frightened of the damage. It is not damaging the hair at the root; rather, the hair strands are slightly roughened. With regular haircuts and good product, you will never see the negative side of the word damage. Shaping the cut with a straightedge razor adds edge and dimension, and be sure to piece out the layers with a medium hold hair wax or pomade. If you have your stylist add light blond pieces, you may want to be sure to use a high shine pomade because the hair can tend to look dull or dry.